I am so happy to announce that the paperback version of How to Go Steady is now available on Amazon! As I stand here holding a paperback copy of How to Go Steady, I'm dancing around with joy. This book has been five years in the making! From an idea to a Kickstarter campaign to the decision to self-publish, creating this book has been nothing less than a journey. Everyone keeps telling me that the first book is by far the hardest and I sure hope they are right! I started working on this one way back in 2013 and there have been ups, downs, and every emotion in between. There's also been a huge learning curve to figure out all the technological ins and outs inherent in the publishing process, but I'm happy to report, I've lived to tell the tale! So what's next you ask? Now that I have all this self-publishing knowledge, why stop at one? I'm excited to let you know that I'm working on another book! This next one will be a book full of interviews of some of your favorite (and some unlikely) romance comic book creators. I'm wrapping up the last of the interviews, so stay tuned for updates as it unfolds. 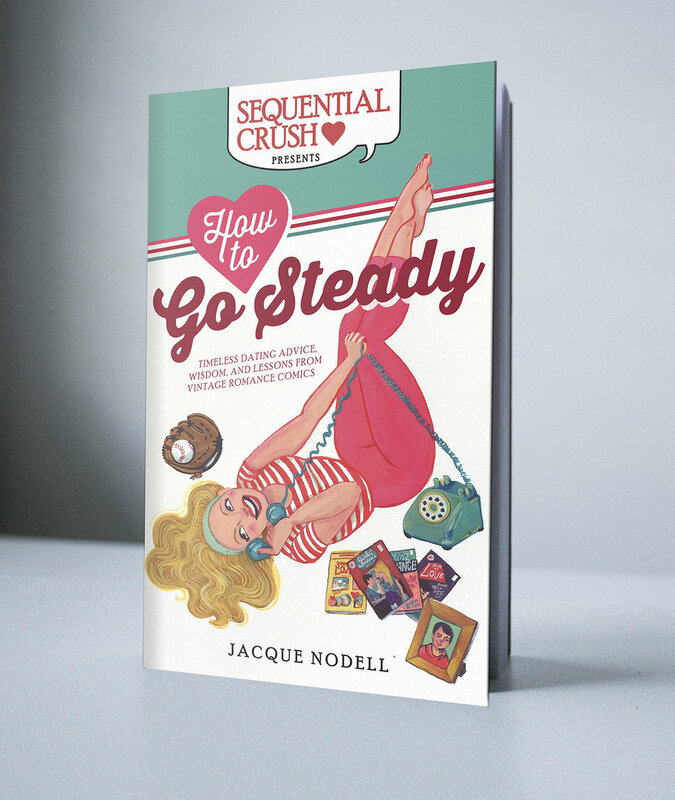 If you're on the fence about reading How to Go Steady, I invite you to download a sample chapter and take it for a spin. Get your download right here. For those of you who've read the book and enjoyed it, I would be so appreciative if you left a review. Amazon reviews for self-published authors like myself are worth their weight in gold because readers who aren't familiar with Sequential Crush take those reviews heavily into consideration when deciding whether to plunk down their hard-earned cash on something new. Once again, thank you so much again for all your support over the years and happy reading! Buy a copy of how to go steady!